Just when you thought that the Japanese Film Festival couldn't possibly get any bigger or better, The Japan Foundation Sydney have announced another wave of titles which are sure to delight. 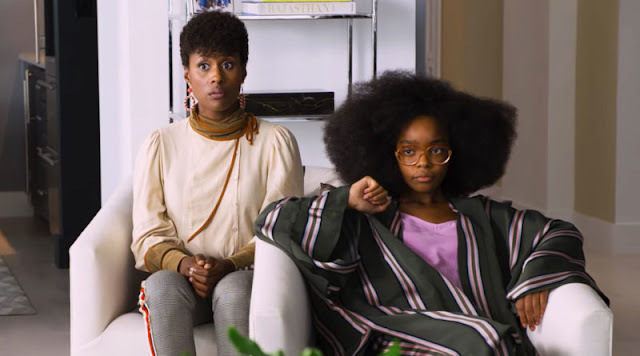 Whether you're a cinema purist, an indie-film lover, anime or manga fan, there's something included in this new wave that you're sure to love. Following on from Adelaide, Canberra, Brisbane, Perth and Auckland, the Japanese Film Festival (JFF) 2014 continues its international tour with stops at Sydney’s Event Cinemas, George Street, and for the first time in Festival history, Event Cinemas, Parramatta from 13 – 23 November. In Melbourne, it will stop at Hoyts Melbourne Central and ACMI Cinemas, Australian Centre for the Moving Image from 27 November – 7 December. Over 50 titles will feature in the program with early bird tickets going on sale from 1 October in Sydney, and 15 October in Melbourne. Tickets are available for purchase via www.japanesefilmfestival.net or from the participating venue’s box office. JFF opens its 2014 program with the Australian Premiere of Lady Maiko, a musical comedy directed by Masayuki Suo (Sumo Do, Sumo Don’t; Shall We Dance?) based loosely on the Audrey Hepburn classic, My Fair Lady. Yuya Ishii, the director of last year’s award-winning opener The Great Passage, returns with his latest offering, The Vancouver Asahi, set pre-WWII when Japanese immigrants were migrating to Canada. Based on the true story of the Japanese-Canadian baseball team of the same name, this sporting tale of underdogs overcoming racial discrimination, shows that baseball and life are not about winning – it’s about how well you play the game. Drama: In Tokyo Refugees, director Kiyoshi Sasabe brings the growing social issue of homelessness in Tokyo to light, while The Light Shines Only There is an often dark and moody film directed by Mipo O, who recently won Best Director for this film at the Montreal World Film Festival. The hard-hitting My Man, based on an award-winning novel, is about an innocent relationship that develops into a controversial love affair. It won Best Film at the 36th Moscow International Film Festival and was the first Japanese film to win in 15 years. 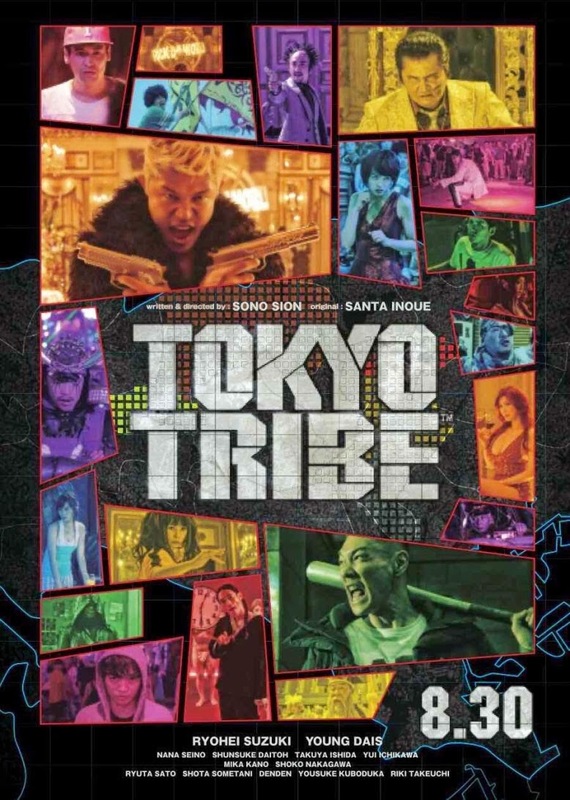 Cult: Fresh from wild-child director Sion Sono, the ultra-cool hip-hop musical Tokyo Tribe takes you down to the underbelly of Tokyo for a surreal night of turf wars. Also from Sono is Why Don’t You Play in Hell?, a bizarre showcase of gangster violence taken to comic extremes. Those in favour of horror can look forward to the chilling JU-ON – The Beginning of the End, voted by Japanese viewers this year as the most frightening of all horror series. 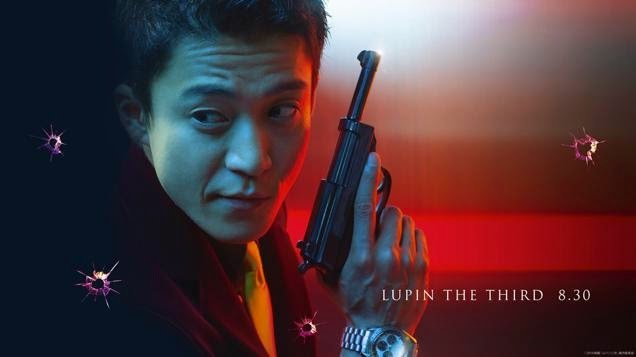 Action: Enter the world of heists and hijinks in the live-action rendition of Lupin the Third, based on the long-running manga series by Monkey Punch that has also spawned anime series, animated feature films, live-action remakes and video games. media-obsessed world in an atypical who-dunnit mystery. continuation from its prequel Buddha, shown at JFF 2011. JFF Classics is a satellite program consisting of fine films from the Japan Foundation’s 35mm collection. This year, JFF Classics 2014’s overarching theme pool the talents of critically acclaimed directors and actresses of the 1950s and 1960s. Mikio Naruse, Kon Ichikawa and Kenji Mizoguchi are amongst the current selection of internationally renowned directors, alongside leading actresses of the time, Hideko Takamine, Ayako Wakao and Machiko Kyo. One highlight is Hiroshi Teshigahara’s Woman in the Dunes that received two Oscar® nominations for Best Director and Best Foreign Film. It also won the Special Jury Prize at Cannes at the time of its release. In Sydney, as a teaser ahead of the main program, JFF Classic 2014 will debut at the Art Gallery of New South Wales from 15 – 19 and 22 – 26 October. In Melbourne, it will be a part of the JFF’s main program from 27 November – 7 December and will be held at ACMI Cinemas. Entry to JFF Classics is free.